Our newly formed Security Executive Network (S.E.N.) 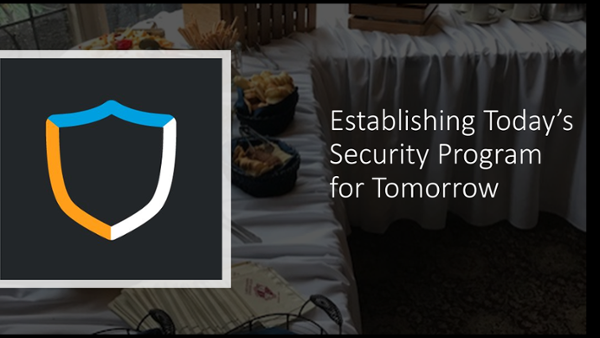 is a traveling event to connect with security leaders everywhere to share insights and best practices. Last night Binary Defense held our inaugural Security Executive Network (SEN) event at the historic Lake Forest County Club. Amongst rolling hills and old-growth hardwood trees attendees enjoyed roundtable discussions on how to best protect corporate networks with moderation provided by Binary Defense CTO Dave Kennedy. CTO Kennedy launched the discussion with a State of Security in 2018 address which cumulated into engaging talks on cloud security, phishing and social engineering, ransomware detection, sharing of threat intelligence, and the current talent shortage in cybersecurity. A major concern was around cloud security focused on services such as Office 365 and AWS and the benefits of CASB. The cloud security talk went back-and-forth and a best practice that emerged was enabling two-factor authentication and also employing authenticators instead of SMS. Phishing and social engineering of course was a hot topic, with examples such as attackers scraping executive LinkedIn profiles for personalized content to support spearphishing attacks. A best practice for IT administrators was to include ‘external’ subject tagging on emails to help employees spot potential phishing attempts. A useful typosquatting tip also reminded attendees to register domains that are similar to your brand to try and reduce phishing resources available to attackers. More discussion centered on the topic of ransomware detection. How do you effectively protect against it? Strong endpoint security solutions, like Binary Defense Vision and leading SIEMs, can immediately detect ransomware and any unusual encryption activity on endpoints. Adequate protection is a matter of backing up data and maintaining a decent standard of security for your endpoints. Threat intelligence sharing between organizations was also discussed. It is a given that companies and organizations may be skeptical to share when they have been breached and any details surrounding compromised endpoints or networks, especially while hackers are on the lookout for successful techniques. There are benefits to sharing data around security incidents however, and anonymity may improve participation. Finally, the ongoing cybersecurity talent shortage within the industry remains a concern. As more and more threats continue to emerge, the amount of people available to manage and respond to them is a challenge facing every security executive. MSSPs like Binary Defense are the best and most cost-effective answer: extend your team to keep your business safe. Thank you to all the participants. The food was fantastic, and the environment of comradery and conversation was a great start to a continuing program that Binary Defense is offering and will arrive at a location near you. Stay tuned and tell us (@Binary_Defense) what city we should be in next!